Rehearsals are underway for the new “Masters of Illusion” magic show set to open Dec. 6 at Bally’s, reviving the shuttered” Jubilee” theater vacant since the dancers left there after a near 35-year run in February 2016. The new production is America’s largest touring magic show and comes from the hit CW television series that stars the world’s greatest award-winning magicians. Eight-time Grammy award winner multiplatinum singer Fergie will be the headline star of the upcoming Miss Universe pageant on Nov. 26 as I hinted in yesterday’s column. Middle Eastern politicians and diplomats went into overdrive hysteria when the two Miss Universe beauty queens from Israel and Iraq wound up as roommates here at Planet Hollywood and posted photos of each other on their Instagram accounts. The two countries do not hold any official diplomatic relations but Jewish beauty Adar Gandelsman and masterful Muslim Sarah Idan proved peace is possible when they posed together. The staggering 23,000-square-foot home once owned by the late Mexican singer songwriter Juan Gabriel in the Las Vegas Historic District is going under the auctioneers hammer right after Thanksgiving. And a real estate speculator could snag the previously offered $5 million price for as little as $1 million. I would be remiss if I didn’t note the more than 40,000 courageous runners, who took to the Strip and streets of Las Vegas at the weekend for the Rock ‘n’ Roll Las Vegas Marathon, one of the oldest marathons in the country — and arguably the most unique. The quiz show categories are scrawled in black marker on torn fading strips of cardboard — much like the helpless homeless individual begging for money on the corner. The prizes are simply the word “PRIZE” scrawled on yet another piece of cardboard. Welcome not only to the wildest night out you never knew you even wanted in Las Vegas — but it’s also the cheapest production to ever be staged on the Strip. In fact, its budget was less than a $1.99! With the Geico Rock ‘n’ Roll marathon, half-marathon, 10K and 5K runs closing part of the Strip this weekend and the Goo Goo Dolls and Snoop Dogg grabbing the spotlight to entertain the runners, our weekly celebrity preview gets a little smaller than usual. The larger-than-life musicians and acrobats of the MarchFourth Group open for the three-time Grammy nominated Goo Goo Dolls on Saturday (Nov. 11) night at the festival grounds of the Las Vegas Village across from the SLS Hotel. The super DJ lineup of Hakkasan group music stars, including Tiesto and Steve Aoki, raised just over $1 million at Tuesday night’s Vegas Strong benefit show held at the Omnia nightclub in Caesars Palace. More than $4.3 million was raised at last night’s (Nov. 7) annual fall gala in New York for the Elton John AIDS Foundation to support HIV/AIDS prevention and treatment programs with a star-studded concert at the Cathedral of St. John the Divine. Sir Elton John was honored for his leadership, commitment and enduring vision as the Founder and driving force. 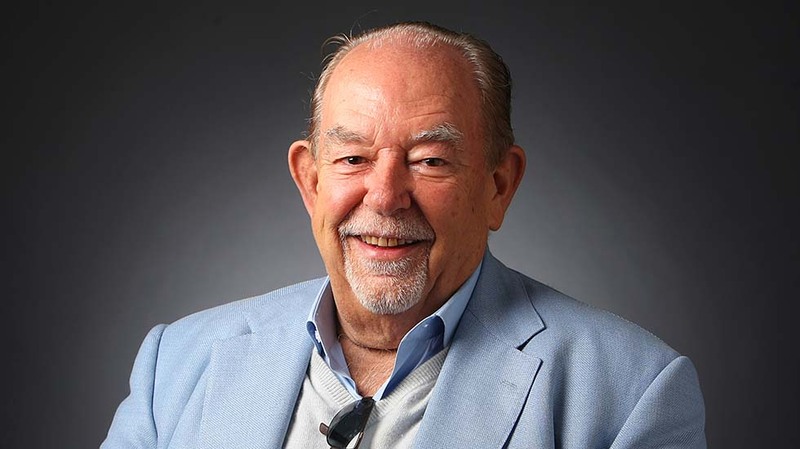 Looking for something specific in Robin Leach?